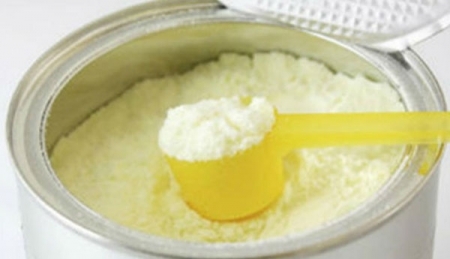 Milk powder importers said yesterday they stopped importing milk powder from last week following its increase in the world market. President Maithripala Sirisena on Tuesday said the ‘Drug Free Country’ programme, inaugurated by the government to build a healthy nation by saving the future generation from the drug menace, has shown successful results. 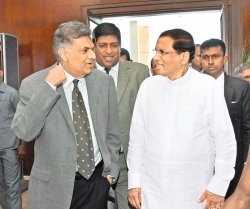 Prime Minister Ranil Wickremesinghe who arrived in Japan yesterday for an official visit will have a series of meetings from today with key economic agencies working with Sri Lanka. Further strengthening of economic ties between the two countries will become a key focus of the visit. Prime Minister Wickremesinghe is scheduled to meet the Japan-Sri Lanka Parliamentarian’s League, the Japan External Trade Organization (JETRO), Japan International Cooperation Agency (JICA) and meet the Japanese Minister of Economy, Trade and Industry Hiroshige Seko. At JETRO, the Prime Minister will deliver a speech on ‘Sri Lanka Understanding the Global Situation and Importance of Japan’. Colombo city will be developed to the best urban centre in the Indian Ocean within the next decade, Prime Minister Ranil Wickremesinghe said. President Maithripala Sirisena says a broad social dialogue has emerged within the country during the last two years after he assumed duties as the President, regarding corruption, fraud and waste. 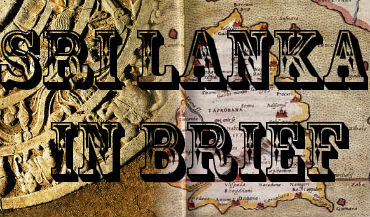 What does affect the average Sri Lankan on a daily basis is the economy. While the government has taken measures to reduce the country’s debt burden which it inherited from the previous regime, this has manifested in more taxes. 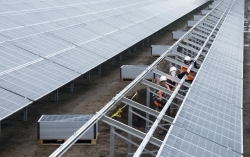 A feasibility study will be carried out for the construction of a 100 MW Solar Park in Siyambalanduwa, Monaragala, the government said.